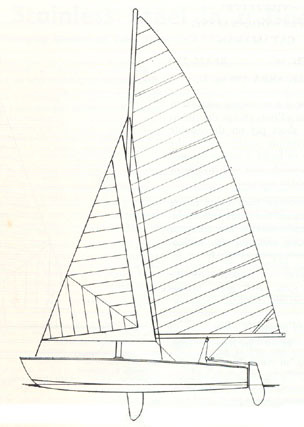 A series of plywood (or as a mould for grp/frp), easily constructed beach and day sailer catamarans from 12′ (3.66m) to 18′ (5.49m). Suitable for all ages for either fun or speed. Fast Twin 12 6′ beam. Built on the double chine principle. Ideal for youngsters or as a learner project. 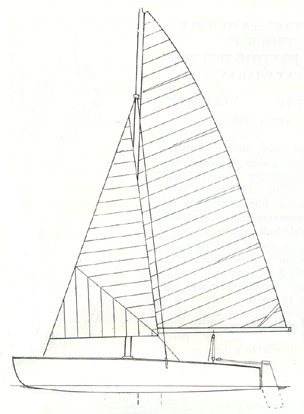 160sq ft of sail. Gives fast performance and has been timed at 16mph. Fast Twin 14 6’6″ beam. 140sq ft of sail. Safe stable hulls with reserve buoyancy to carry a number of persons on short trips. Has a sparkling performance and has been timed at 18mph. Has a self draining cockpit and can be left on a mooring. Fast Twin 16. 7’6″ beam. 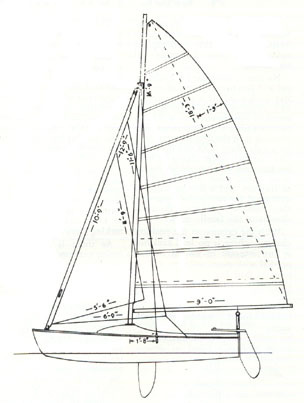 170sq ft of sail. 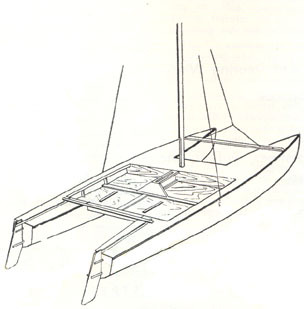 A high speed craft with speeds up to 20mph. Equally suitable for racing or day sailing or fishing. 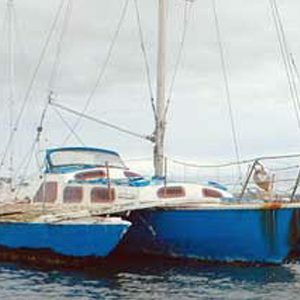 Has a self draining cockpit and can be left on a mooring. 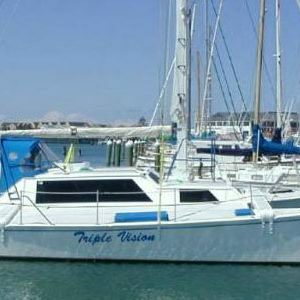 Fast Twin 18 7’6″ beam. 170sq ft of sail. A larger version of the 16, ideal for family cruising. Stowed on edge it takes less than 3′ of garage space. Please choose between the different plan versions.